Whether you are a San Francisco Landlord or Tenant, the first and most important thing to know in any eviction or landlord/tenant dispute is: whether the rental unit falls under the authority of the San Francisco Rent Control Ordinance. Generally speaking this will be determined based upon when your home was built. Specifically, all structures built before 1979 are governed by the Rent Ordinance. An eviction of a rent controlled unit is more time consuming and difficult for a landlord. Thus a rental unit governed by rent control is generally more favorable situation to a tenant. For example, if a unit is rent controlled, there are only 15 specific reasons , or “just causes” why a tenant can be evicted. Moreover, the rules associated with these 15 reasons for eviction are complicated and tedious. If the landlord makes even the slightest of errors when pursuing a rent controlled eviction, the landlord could lose and may have to pay financial damages to the tenant. For these reasons, a tenant in a San Francisco Rent Controlled unit is in a much stronger position to fight an eviction, than a San Francisco tenant that does not live in a rent controlled apartment. On the other hand, if the San Francisco rental unit does not fall under the authority of the Rent Ordinance, the landlord may more easily evict. There is still a legal process that must be followed, and some of the rules are strict, however, the chances of success for the landlord are much greater. For example, after a one year written lease has expired, a landlord of a non-rent controlled unit may simply end the rental agreement upon advance notice to the tenant. Conversely, if this same unit was rent controlled, the landlord would have to qualify under one of the 15 “just cause” evictions before the rental agreement could end. 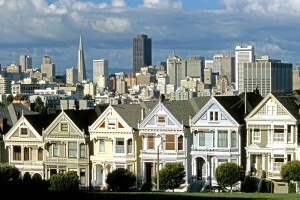 For all of these reasons, it is extremely important to discuss any eviction in San Francisco with an attorney. Besides the factors listed above, there are strict time requirements associated with all evictions. Every day is important, and day wasted could greatly impact your case. To email a question about your San Francisco Landlord to one of our San Francisco Eviction attorneys, click here. I was late for my rent and I got a 3 days notice they said I have to pay by 72 hours. Can I pay some of the rent first.